Master Admins can use this feature to export contacts across all transactions. Short version: 1) From the transaction, click [All Contacts] from the "Downloads" section of the left menu. 2) Once downloaded, sort and filter as needed to generate your desired contact list. From the desired transaction, click [All Contacts] from the "Downloads" section of the left menu. 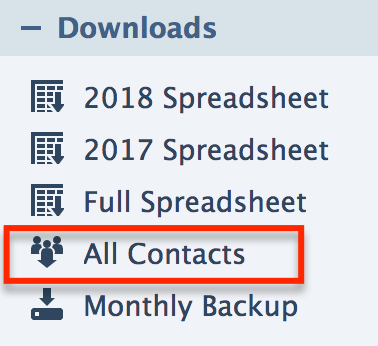 Once downloaded, sort and filter as needed to generate your desired contact list.